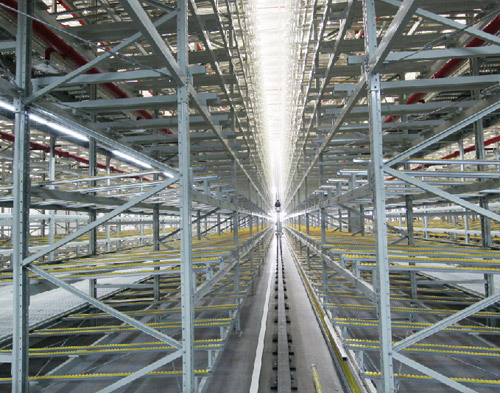 Longspan Racking Adjustable long span racking system is a good solution for storage of light to medium heavy loads. 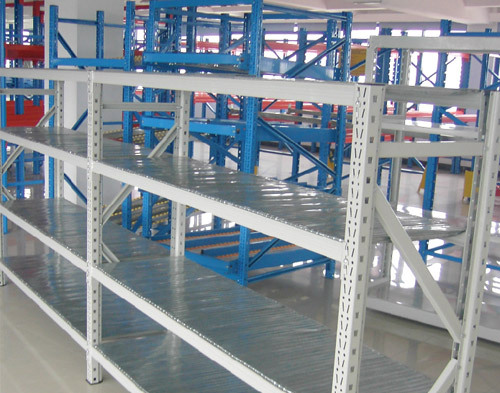 You can use the long span racking system in almost any situation: shelving racking, long span racking, multitier.Main benefits for long span shelving and racking system· Quick assembly· Good stability· Low cost· Various possibilities of shelves · long span racking system is especially designed for the storage of hand loaded heavy products, such as machinery equipment, tools and boxes or totes of different sizes.Construction of long span shelving systemThe Construction of s long span racking system is similar to pallet racking. It comprises frames, beams, a full range of accessories and metal shelves.The upright is perforated at a pitch of 50 mm allowing boltless mounting of the beams. The tapered shape of the hook guarantees a stable and rigid design, without back bracing. Pallet Shuttle rackingIt is a high-density pallet storage system . making it easier to load and unload pallet packed cargo by an electric carriage we called it “Shuttle cart”.This system uses shuttle carts to move independently within the rack itself, The forklifts do not needed to move inside of the storage lanes.The operator performs all the procedures for storing and extracting pallets simply by using a remote control.· Less time is required to unload pallets.· Less damage to the racking units as the forklift does not enter the racking unit.· Compatible with different pallet sizes.· Ideal for storage at low temperature for cold room . 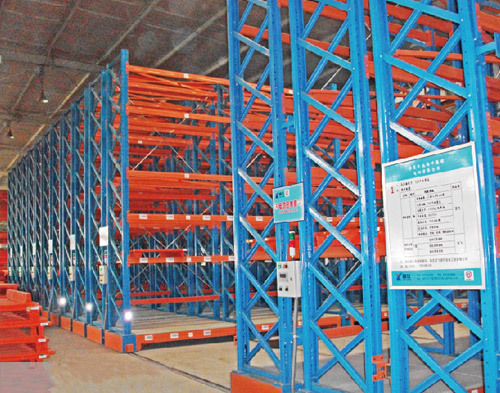 Pallet Drive- in Racking This system is base on the storage by accumulation principle, which enables the highest use of available space .Drive-in racking is designed for the storage of homogenous products. It accommodates a large number of pallets for each Lane..· Maximum use the available space for storage ,compare with the selective pallet racking 80% of storage space will be utilized.· The height of the Storage level can be adjustable..· It provide as many as storage unit in loading lanes.· Ideal for storage at low temperature for cold room. 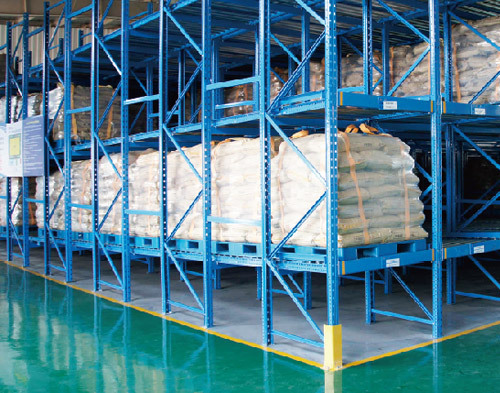 Push back rackingIt is an accumulative storage system that allows up to four pallets deep to be stored per level. 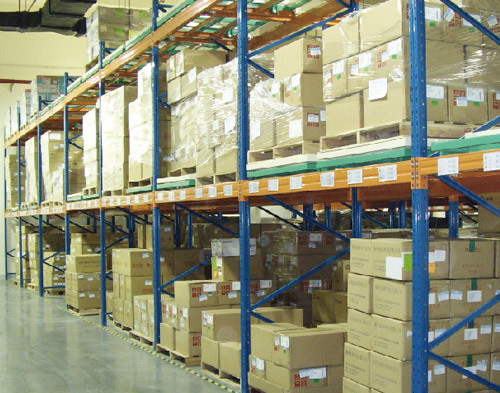 All of the pallets of each level, are placed on a set of cart that are pushed along on the support rails.Push-back is ideal for storing medium-turnover products, with two or more pallets on storage level (using for Last In First Out ( LIFO) system). Mezzanine consist of posts, main beams, Joist beams, Floor Decking. Staircases, handrails, easily assembled widely used for bulky or loosened goods, to fully utilize the space in height. Widely used in high warehouse ,small goods,manual picking and high density storage. Suitable for quto parts, E-commerce and other industry.